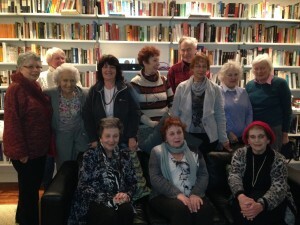 The Hampstead Book group launched by Susan Reizenstein meets every two months on Sunday afternoons and gives you an opportunity to read and discuss books of Jewish interest and or by Jewish authors with diverse cultural themes. Men and women of all ages are welcome. Dates will be advertised in the monthly newsletter and on the website. For more information contact the Shul office. The Dennington Club is a new group for 35s to 55s. Following on from successful Friday night dinners, the club is widening the scope of their events, although Friday night dinners will continue to be prominent in the programme. The group mainly attracts single members, but newly married members are also welcome. To find out more, please join our Facebook group: The Dennington Club. Every winter we have fun competing with one another to win the special award for highest scoring team at our quiz supper. Our quiz masters donate their proceeds to charity and funds raised are used to fund resources for children and teens and other community activities.